Whether it’s a feast in aid of a special occasion or looking forward to indulging in your favourite meal after a particularly long day, everyone around the world shares a common love for food. But how much thought is given by most of us to those with food allergies that are so severe that taking a single bite from the wrong thing could actually kill them? Probably not much, if we’re being honest. Charity E.A.T, which stands for End Allergies Together, recently created an experiential campaign in a bid to raise awareness about the scary reality of having a food allergy, and the challenges many sufferers face on a daily basis. 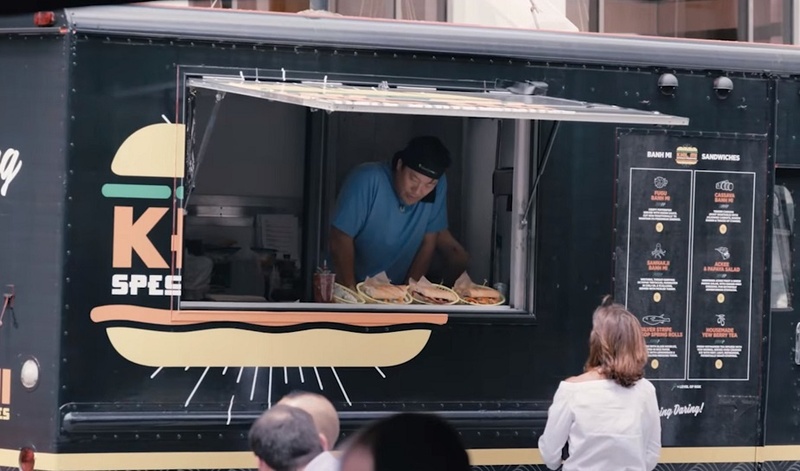 To do so, E.A.T created its own food truck, manned by celebrity chef Ming Tsai, and positioned it on a bustling corner in New York City. It wasn’t long before hungry passersby were queueing up, eager to place their orders. But when they asked what exactly was on the menu, their excitement soon came to an abrupt halt. On offer was an array of poisonous dishes: fish with toxins, berries that could numb their mouths and throats, and other ingredients which could cause paralysis, put someone in a coma, or even cause a fatality. Not exactly the nutritious lunch they were after. People were understandably disgusted by the pop-up food truck. However, this was the exact reaction E.A.T wanted, as the shock factor encouraged consumers to think about the 200 million people currently suffering from allergies worldwide. Participants were subsequently informed of the campaign’s key message: ‘You wouldn’t risk eating something deadly, but people with food allergies have to everyday’. This experiential activation used face-to-face interaction to stop consumers in their tracks, get them engaged and encourage them think about an incredibly important issue. As a result, it likely inspired people to donate to E.A.T, who fund research to find a cure for allergies. Food trucks and unexpected pop-up residencies can be a great platform for experiential stunts. Want more proof? Take a look at when Nikon transformed a food van into an eye test – everyone wanted a slice of the action!